A mildly engaging but ultimately superficial summary of some of Britain's most notorious crimes. You won't learn anything new but the series is well produced and provides a distraction for long journeys. 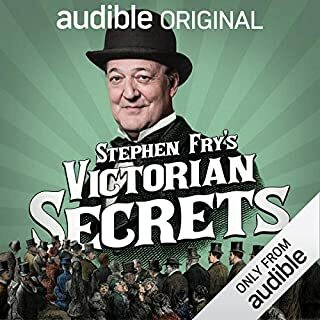 Stephen Fry is the perfect narrator of this eclectic collection of scandalous tales of Victorian England that sit in sharp contrast to the era's prudish reputation. Lots of repetition, nothing really new. Content that could have justified maybe two episodes stretched out over five. Not worth the bandwidth to download. 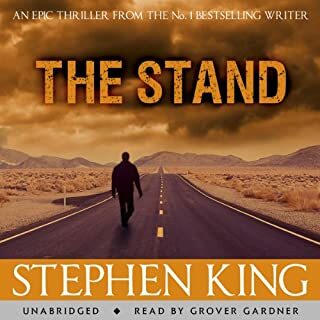 This is an enraging and entertaining book with all the depth, improbable plot twists, melodrama and occasional nauseous sop of a long running soap opera. Great fun but makes me wonder if the writers of Neighbours will be hailed as literary giants 100 years from now. Charlie7 is the progenitor of a mechanical race he built from the ashes of a dead world - Earth. He is a robot of leisure and idle political meddling - a retirement well-earned. Or he was, until a human girl named Eve was dropped in his lap. Geneticists have restored Earth's biome and have begun repopulation. But primate cloning is in its infancy; human cloning is banned. Far from a failed genetics experiment, Eve is brilliant, curious, and heartbreakingly naïve about her species' history. I really wanted to like this book but ultimately found it impossible to sustain disbelief. 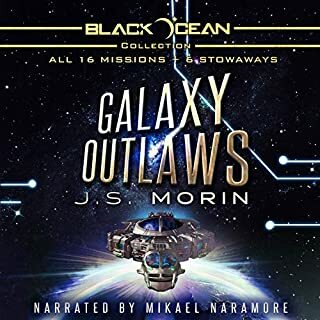 And I am saying this as someone who love the Galaxy Outlaws Black Ocean Moebius series with its oddball crew of wizards, primates and giant sentient security feline. 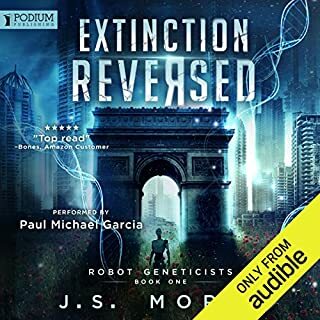 The premise is good, A thousand years after humanity was wiped out by an alien invasion, robots are rebuilding the world in preparation for humanity's return from extinction. Rogue robot geneticists are secretly experimenting with growing humans in the lab; the majority of which are dismal failures destined to live out their short painful lives on Easter Island, known colloquially as the Scrapyard. But then a healthy intelligent girl known as Eve14 emerges. 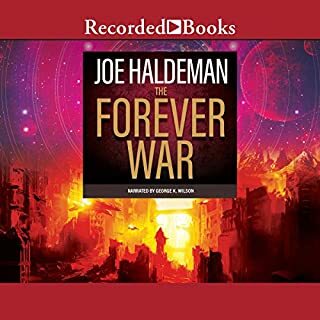 A major problem with this book is that the supposed robots seem to operate with the same emotions, petty jealousies, rivalries and unreliability of the humans they were first based on while Eve14 displays the rigid and literal mindset one would expect from a robot. It is unclear why, given she was raised in isolation by a robot known as the Creator, she so readily accepts and trusts otherrobots she has just met, particularly given their desire to remove her from the only person she ever knew. We also meet another proto-human known as Plato who is hellbent on 'rescuing' Eve14 from her creator, who she also quickly accepts, trusts and follows. It is impossible to understand how another successfully grown human, one with super-human physique hellbent on delivering vigilante justice to unethical robo geneticists, could have lived for years under the radar. As the book went on, the writing seemed to become more and more cliche-ridden. I finally gave up halfway through, unable to care about the ultimate fate of any of the characters or even humanity. When a book series bills itself as 'like Firefly but with wizards', it's easy to be cynical. Nothing will ever be as great as Firefly. You are setting yourself up for failure. 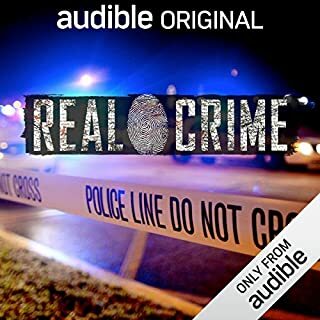 Now I am going around telling people they HAVE to listen to this series. And the only way I can describe it is that it is like Firefly. With wizards. It's also incredible value. It's 85 hours of Firefly-style entertainment for one credit. It kept me sane during seven weeks when my train was replaced with a bus service. Naturally, not every single minute of the series is perfect. The first two thirds is brilliant. Then it occasionally slips into soap opera rather than space western mode. There are enough flashes of the previous brilliance in the last third to make it worth persevering. My absolute favourite character is Mort, the crotchety murderous wizard. He has the ability to draw people, voluntarily or otherwise, into his head where there is an entire other world known as Mortania. Each night he sleeps, a year passes in Mortania. 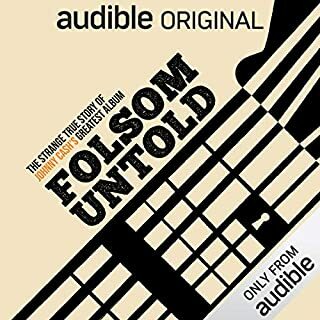 In short: buy this book and listen to it. It's absolutely wonderful. Dracula is such a stereotype it's easy to forget the brilliance of the original. 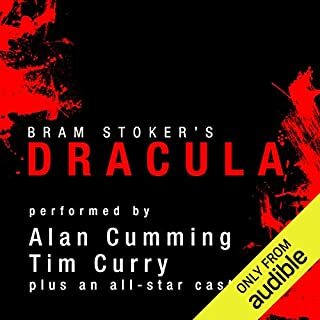 Having such good actors such as Tim Curry and Alan Cummings read the book turns a great classic into a modern masterpiece. I can't fault anything about this recording at all. Love it. Steven King produces the MacDonalds of books. Compelling story, shallow characters, a guilty addictive indulgence. 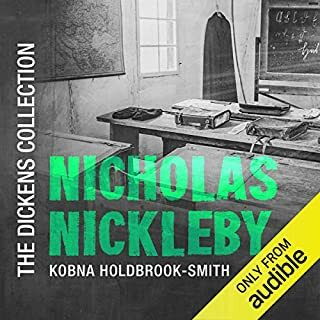 Great narrator. 47 hours of listening pleasure to get you through the longest journeys. Thoroughly recommended. The much anticipated prequel to best seller Wool that takes us back to the beginnings of the silo. The full novel which brings together First, Second and Third Shift. 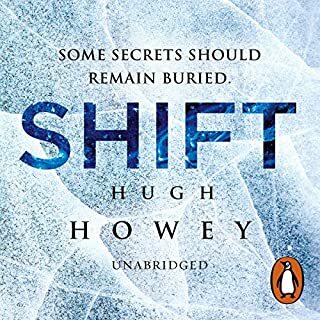 Shift tells the story of the beginnings of the Silos and is a much more evenly written book with less padding (although it does start to waffle a few chapters before the end. There are lots of good twists although I anticipated most - possibly because I now understand the author's way of thinking. There were still a few moments when it was hard to suspend disbelief. The narrator is much better than the woman who narrated Shift although he still does some silly voices.. Looking forward to getting Dust next month.